There’s nothing quite like seeing the faces of a group of adults at a dinner party when you put a plate of these beauties out for dessert. They all have the same look – shock, then disbelief, then – slowly, but inevitably – joy. Pure, unrestrained joy. They are kids again and they’ve just been given a candy store. They dive in. Politely, you remind your guests that choking will be less of a risk if they eat them one at a time. Later, when it is all over and the fingers circling like sharks have found the last crumbs, they all ask – still breathing heavily from exertion – for the recipe. Line three muffin tins with medium baking cups (cupcake papers). Or make in batches using one muffin tin. In a bain marie (or a stainless steel bowl set over a pot of simmering water), melt 1/2 cup butter. Transfer to another bowl and mix well with sugar. Stir in peanut butter and then graham cracker crumbs until mixture forms a smooth paste. Set aside. Melt remaining butter butter. Add chocolate chips and stir until chips are melted and mixture is smooth, shiny and runs freely. Place a teaspoon or so of chocolate in the bottom of each baking cup and place muffin tin in fridge or freezer for 15 minutes to let chocolate set. Return bowl of chocolate to bain marie and stir occasionally. Meanwhile, on parchment paper, roll out peanut butter mixture until it is approximately 1/2 inch thick and cut into disks using a small round cookie cutter. Alternatively, roll mixture into small balls using your hands and flatten into disks. Place one peanut butter disk in each baking cup, leaving a small gap all around. Cover with melted chocolate and return to fridge or freezer to set for half an hour. Peanut butter cups store well in the freezer. Enjoy! NOTE: Depending on how much peanut butter mixture you put in each cup, you may have some leftover at the end. Don’t waste it! Place it in an even layer in a small baking dish lined with parchment paper and cover with a little melted chocolate. Let is set up and you have peanut butter squares. A little less fancy than the peanut butter cups, but just as good. This entry was posted in Desserts and tagged chocolate. peanut butter, homemade, make your own, Reese's Peanut Butter Cup recipe. Bookmark the permalink. Oh my goodness what a stunning blog! I could keep reading and reading. Beautifully done, very inspiring. I’ve been thinking about yorkshire pudding lately. I have never made it but my mom used to make it all the time with a roast. Glad to see your recipe, I think I’ll give it a try. 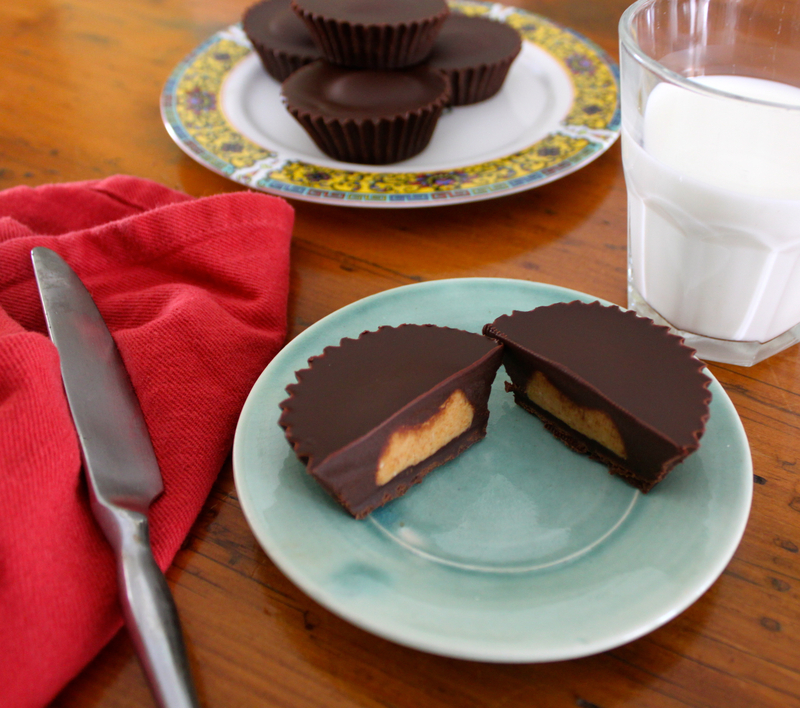 These peanut better cups are something special too! Thank you for visiting my blog today and for following. I look forward to seeing more from you! Thank you! Your blog is excellent – I’ll be back! I love everything in here! and these peanut cups are litterarly outstanding! This looks seriously delicious. Peanut butter and chocolate are my two fave flavours and your recipe looks so easy and YUMMY! 🙂 Thank you!